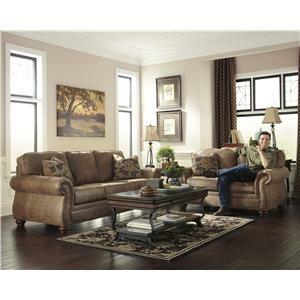 The Braddock Stationary Living Room Group by Jackson Furniture at Virginia Furniture Market in the Rocky Mount, Roanoke, Lynchburg, Christiansburg, Blacksburg, Virginia area. Product availability may vary. Contact us for the most current availability on this product. 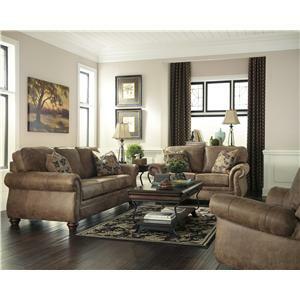 This living room collection has a traditional style that incorporates classic elements of furniture design into a casual and comfortable living room set. Details include rolled arms, turned bun feet and individually driven nail head trim. 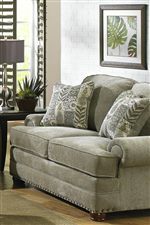 Each piece has deep t-cushions for comfort with comfort coil seating inside the cushions that features individually pocketed springs to enhance the overall comfort of the sofa and loveseat. The Braddock collection is a great option if you are looking for Traditional furniture in the Rocky Mount, Roanoke, Lynchburg, Christiansburg, Blacksburg, Virginia area. 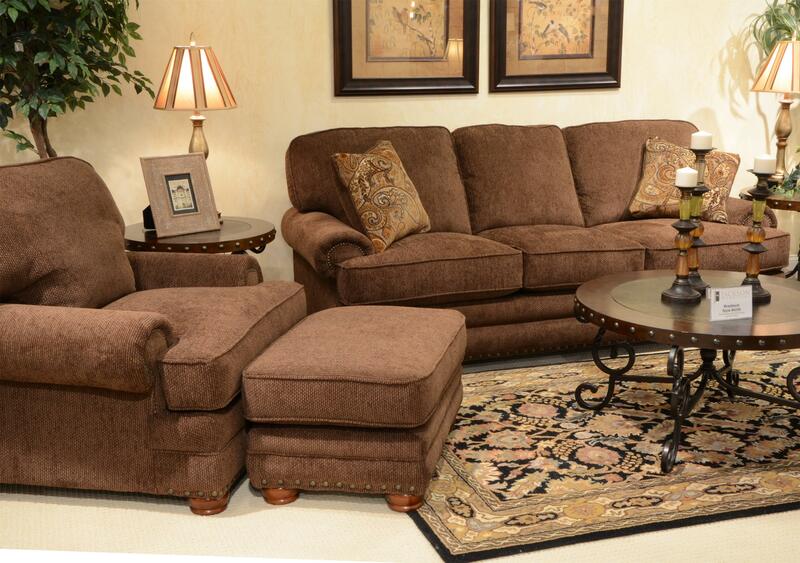 Browse other items in the Braddock collection from Virginia Furniture Market in the Rocky Mount, Roanoke, Lynchburg, Christiansburg, Blacksburg, Virginia area.